Do you consider yourself a Humanist? Do you want to support people who need help? Then why not consider becoming a volunteer Humanist Chaplain. Our network supports people such as yourself to provide the much needed Humanist perspective in organisations and society as a whole. 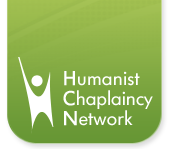 Humanist Chaplains are there to offer a friendly ear and advice from a Humanist perspective. You need to have an understanding of Humanism and a desire to help people when they need someone to talk to. If you want to take the role further there is plenty more to get involved in too - providing drop in sessions, consulting on ethical issues with local government and other authorities and much more. We will be there to support you all the way! We provide training, information and a support network including a mentoring scheme to make sure you get all the support you need. To find out more about the support we offer, see this page. Being a Humanist Chaplain is incredibly rewarding. One of the tenets of Humanism is to improve people's life through human compassion and friendship. A chaplain is there to provide compassion and friendship for fellow people in an organisation such as a university or hospital. We provide training which comes with its own certification and such experience is one of the best ways to bolster your CV as more and more employers are looking to people who can work well with and support their colleages. Want to volunteer or simply want more information? See the downloads on our membership page or get in touch.